BBC NEWS | In Depth | Viewpoints: Should borders be open? Viewpoints: Should borders be open? The issue of migration is high on the political agenda for governments around the world. Western governments are often under pressure to restrict the entry of migrants. Developing countries find themselves losing highly-skilled professionals while at the same time receiving important revenues from emigrants. BBC News Online asked eight commentators to give their views on the economic arguments for and against migration, asking them to outline their views on whether countries should operate an open border policy. "The movement of people is essential in today's world"
"The movement of goods and people are linked"
"We can be more progressive and liberal than we have been"
"I cannot endorse mass migration for personal reasons alone"
"Open borders would lead to massive flows of people from the third world"
"The free movement of persons is a fundamental freedom"
"Borders are the line between 'us' and 'them'"
"Laws should allow immigrants to find employment permanently"
The movement of people needs to be better managed. Mobility of persons occurs through choice or necessity. The current global estimate of international migrants is 175 million, some 3% of the world population, and the number is increasing. People migrate, temporarily or permanently, to receive education and training, to perform services, to find employment, to flee life-threatening situations or to provide themselves and their children with hope and opportunity. The movement of people across borders is essential in today's globalised world. International business depends on an international labour force, and the ability of people to move around the world with ease. Most developed countries face declining birth rates and ageing populations, which can be mitigated by migration. Remittances earned abroad are the principal support to the economies of many developing countries. But much of migration today is unregulated. There are not enough legal channels open for those who want to migrate and whose labour may be needed. Criminal smuggling and trafficking networks are matching up the supply of labour with the demand, mostly in the informal economy. As a result, border controls are evaded, with exploitation and security risks for the individuals and societies involved. Xenophobia and racism flourish to the detriment of host communities and migrants, particularly when governments are perceived to have lost control of the migration situation. However, when managed effectively migration holds great potential for migrants and for host communities. The ultimate goal is not to obstruct or prevent mobility but to better manage it for the benefit of all. 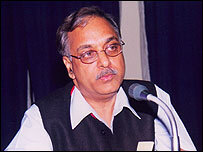 Professor Binod Khadria is the author of The Migration of Knowledge Workers. The question of whether we should have open borders is more a question about the visas barrier countries use for monitoring the immigration of non-citizens than controlling the emigration of citizens. The movement of goods and people are linked. When people move across borders, goods are produced on location. When not, production is outsourced. The former leads to brain drain from developing countries and the latter to what is known as Business Process Outsourcing (BPO) in developed countries. The current policy trend of developed host countries is to provide temporary visas with the aim of returning these immigrant workers to their home countries within a few years. This creates a negative effect. First of all it encourages a nomadic lifestyle where families and spouses are directly affected and unable to settle. The higher turnover of immigrants benefits these host countries by correcting their ageing population structures by laying off older workers in favour of cheaper, younger foreign workers, and profiting from the knowledge of younger minds. For the developing home country, on the other hand, temporary migration brings in higher remittances, but with the increased emigration of students much of this would flow back to developed host countries as overseas student fees. The solution lies in countries like India seeking foreign investment for the education and health sectors, with the objective of raising the productivity of labour in India, so that if the top 10% of the workforce emigrates it will not affect the overall GDP of the country. 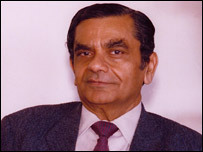 Jagdish Bhagwati is Professor of Economics at Columbia University, New York. There would be virtually no distinction between the case for free migration and the case for free trade if global efficiency was our reason for choosing a proper migration policy. But we typically bring in "communitarian" arguments to moderate or limit the flows of people across our borders. I do not think we are in a position to contemplate free migration for that reason. But we can be more progressive and liberal than we have been. 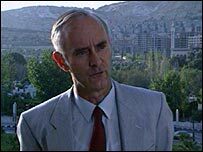 Where we used to consider the right to exclude as the flip side of sovereignty, we have increasingly come to accept certain restraints on the ability of nation states to exclude. And even on the rights of aliens, even when they are illegal, we have been moving ever so slowly towards recognising restraints on treating them as having no rights. I have also long believed that the time has finally come to move towards creating a proper world body to deal with migration. Such an institution would steer us - the way the International Labour Organization has done since 1919 - towards an acceptance of some core values in the treatment of workers, in the direction of an expanding set of norms that assure a wider acceptance of the basic rights of aliens at the door and in our midst. Dr PN Govender is president of the South African Medical Association. While I endorse a doctor's right of free movement, I cannot endorse mass migration for personal reasons alone. South Africa loses almost 50% of its qualified doctors annually to Canada, the UK and Australia. There is a steady demand for South African health professionals overseas. The state needs to offer more incentives for them to stay. The laws and regulations governing medical services here are centrist and collectivist by design, so much so that doctors in state services have to enter a central bargaining chamber to fight for their piece of the health budget with porters and cleaners. Doctors will settle for lesser wages here than they can obtain overseas if their service is respected, and their working conditions are conducive. Medicine is a larger calling and doctors cannot be expected to migrate following richer pastures for personal or material gain alone. There is a moral obligation to provide this essential service in one's own country. 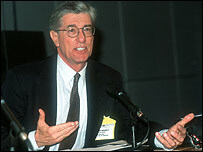 Sir Andrew Green is chairman of MigrationWatch UK. No. This proposition is both unrealistic and impractical. For a start, we do not now have free movement of goods. We are moving towards the free movement of industrial goods between certain groups of countries. But there is not free movement of agricultural goods (or of textiles) as the Common Agricultural Policy eloquently testifies. The reason is clear. The industrialised countries of Europe wish to preserve key elements of their economy which are of great importance to their social structures. This consideration applies still more strongly to the movement of people. People are not packing cases. They have continuing needs for health, education, housing and transport. As the economist Milton Friedman put it: "You cannot have both open borders and a welfare system." Given the huge disparities of wealth, open borders would lead to massive flows of people from the third world to the industrialised world until conditions there approximated to their home countries. This would be a recipe for chaos and would be entirely unacceptable to the inhabitants of the industrialised world. 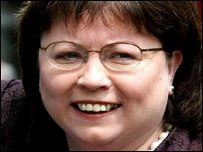 Mary Harney is the Irish Deputy Prime Minister and Minister for Enterprise, Trade and Employment. The free movement of persons is a fundamental freedom guaranteed by European Union law and is a mark of European citizenship. The current debate on this issue is taking place in the context of the accession to the Union of 10 new member states with effect from 1 May this year. The process of accession allows member states a period of adjustment, ranging up to five years, to accommodate disturbances to their labour markets. In some circumstances this period can be extended by a further two years, but only with the approval of the EU Commission. It is important that such controls are applied in an open and transparent way so that all of Europe's citizens understand what is required of them when moving from one member state to another after 1 May. Interim controls that are applied are transitional in nature and do not undermine the fundamental freedom of persons to move between member states. Ireland will not apply interim controls on access to work and will allow full access to its labour market from 1 May. We look forward to welcoming workers from the accession countries after that date. 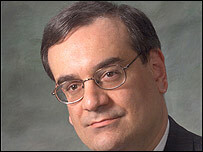 Mark Krikorian is executive director of the Center for Immigration Studies, Washington DC. No. Borders are essential to nationhood. They are the line between "us" and "them". Without 'them' there can be no 'us', precluding the possibility of social solidarity. Aristotle wrote that each virtue has two corresponding vices, one marked by an excess of the characteristic related to the that virtue, the other by an insufficiency. Denunciations of xenophobia or chauvinism are appropriately widespread, but an open borders policy is a function of the other vice, insufficient national feeling. The analogy to common ownership of property is compelling: if everyone owns everything, the experience of socialist societies shows us that no one is responsible for anything. Likewise, if all men have an equal claim to my affections, without regard to borders, then no man is my brother. Even in a purely economic sense, the idea of open borders is a pernicious one. Free movement of people is different from the free movement of goods because people are not goods. When we import a plastic toy from Malaysia, we import only the labour used to make it. When we import Malaysians, we import complete human beings, with all their dreams and preferences, their strengths and weaknesses. In short, we change our society in a way that the free movement of goods cannot. Such change may or may not be a good idea, but it is not comparable in any way to the trade in goods. The Hispanic community by and large supports increased immigration, but with proper controls. Hispanics make up the largest minority group in the US and are projected to number almost a quarter of the population by 2050. Crossing borders for a new life in the US is in principle a win-win situation for immigrants. For them it is an opportunity to earn good money, and the US benefits from their labour. While proper border controls are certainly necessary, Western countries need to address the fact that proper immigration laws would reduce the number of people crossing these borders illegally. President Bush's recent guest worker program provides immigrants with the chance to work legally for a fixed period, but it does not allow for them to become permanent residents. Immigration laws should be put in place that allow for immigrants to come and find employment permanently. This would be preferable to the de facto system now in place, where people are entering the country illegally. What are your views on the opinions expressed here? Send us your comments using the form below. Mark Krikorian and Andrew Green seem particularly wise. This is not the same issue as movement of goods. Migration is causing a complete change in our society. Once we admit that and stop downplaying it we can move on to discuss whether that change is for the better or worse. An important area of discussion that was not covered in any detail in this article is the influence of companies, international conglomerates who wield immense influence in third world countries, where the introduction of factories can raise the economical productivity of a country. While many countries appear to be centred in the US, the trend to move factories and jobs to poorer countries for profit works in a counterintuitive manner to the idea of clearly defined borders between one country and another. The choices are clear: either companies are required to keep their business within their own country or very few neighbouring countries and are taxed highly on foreign-produced goods to discourage foreign production, or free trade practices allows companies to hire Bangladeshi workers who will work for pennies a day instead of American workers who require at least $5 per-hour salaries and health benefits. There's an important distinction between open borders and managed borders. What's clearly needed, as Jagdish Bhagwati outlines, is a global approach to the problem to prevent the free-for-all that currently exists, where more economically developed countries fight to pass migrants off to one another. However, that doesn't solve the problem of producing legal, safe means for people to escape countries with poor human rights records. From the above comments, it is quite clear that some of the people are selfish in a sense that they do not wish to compromise their own standard of living with the influx of immigrants. Thus, a more suitable strategy to cope with migration is to improve the standard of living of the people in the Third World countries, and this can only be attained if developed countries can cooperate and provide financial and technical assistance to these countries, which sadly is not provided or not sufficient currently. Only with this improvement strategy to eliminate poverty and create jobs will people have less incentive to migrate, and the problems that migration brings to both the host and the original country will not occur in the end, since conditions will not significantly improve if they migrate. Mark Krikorian's argument is a good one. However, the 'us' and 'them' theory must be tempered with a respect for 'them'. Ultimately, and I realise this is a large task, the problems for 'us', aren't going to be fully addressed, until we address the problems for 'them'. Migration and the problems it causes will only cease once the world is equally habitable. This will only happen when the industrialised nations level the playing field for the others. 'Us' and 'them', yes, but only with deference to 'we'. Experience from my travels has shown me as long as there is globalisation there will be movement to where the jobs are. This is because there is no stable job environment in any particular country. But with such instability, costs for the other things like health care will rise. There needs to be a balance that gave the US and other industrialized countries the ability to grow and allow support systems to assist their citizens. To allow migration to continue unchecked will leave more instability and challenge current social structures. As we move around, we need a stable global social base, change nationalism to globalism belief that we are one world. 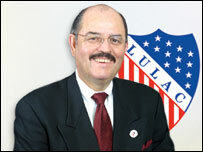 Hector Flores doesn't want to admit that though Americans love legal immigrants to this country. The majority of us loath illegal immigrants, who sneak into this country.